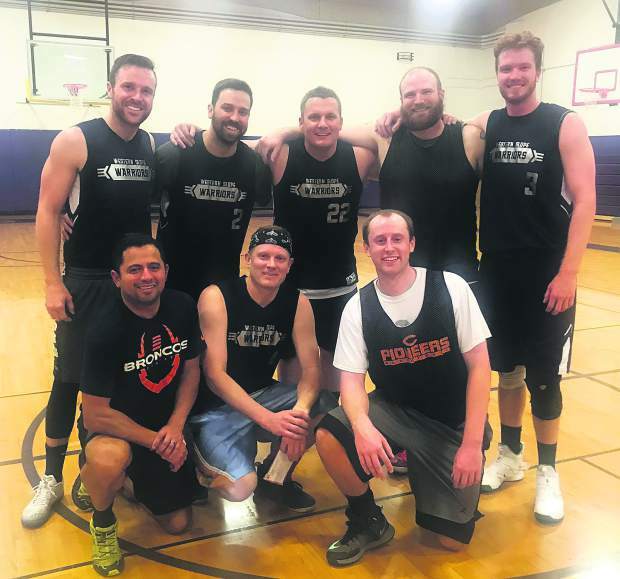 Recreation Department’s 2018 Adult League championship with a 55-46 win over Old School on Dec. 2. Bay Equity finished with a 10-0 mark. In the front row are, from left to right, Marlon Funez, Michael Picore and Mitch Tordoff. Phil Riley, Chris Hoffmeister, Ryan Parker, Jordan Testerman and Zach Johnson are pictured in the back row.